Update 1/18/2018 – Open house on Saturday, January 20, 2018. The post on the Moltrup Steel Mansion that is for sale in Beaver Falls has continued to be popular and I went to see if the house had sold. The 5 bedroom, 4 bath house is still available and the price has been reduced to $62,500. Looking at the comments about this property on Old House Dreams site, there has been some interest in this property from a buyer on the other side of the country. 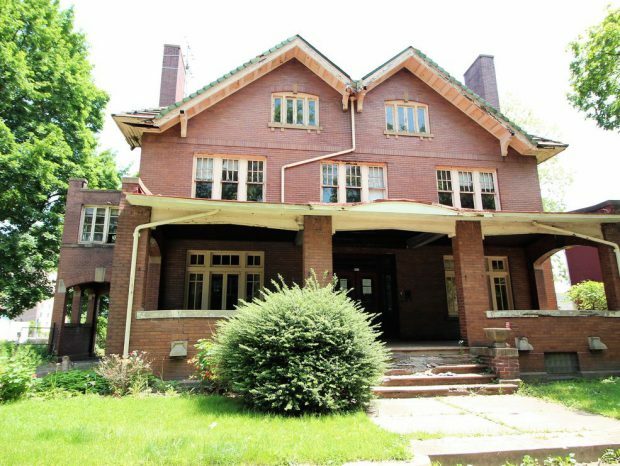 The house is also listed for auction on Hubzu.com. The auction has one day left and the starting bid $49,500, which is still below the reserve price.